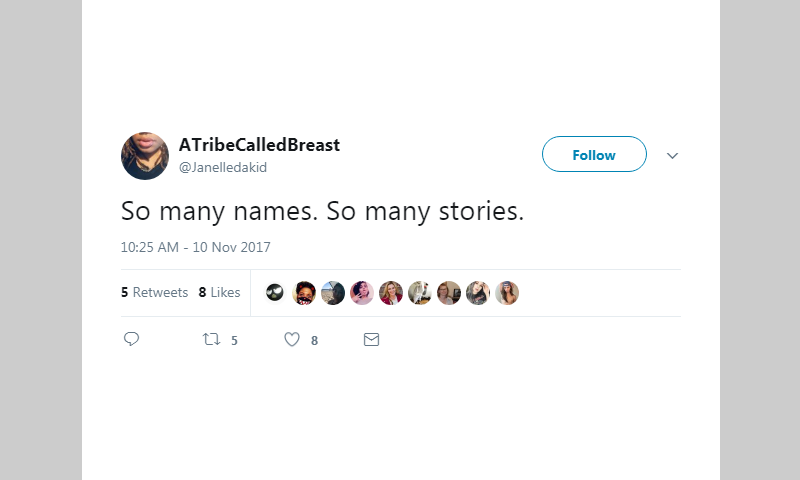 In the midst of growing public sexual assault allegations and the #metoo stories from women on social media, this sudden deluge of stories can be overwhelming. It’s difficult to know what to do with them. Here are some quick tips on what administrators and students can do when they become overwhelmed by the stories in their community. If you’re like me, you may have cut yourself off from social media one or two times over the last year because of the horrifying stories on the news or from your peers about their instances with racism, sexism, xenophobia, etc. As educators who work with stories daily, we’ve grown accustomed to and practiced in how to engage with stories on the emotional level and on the organizational level. I remember the first time I was collecting stories through Show Some Skin as an undergraduate student. I was so excited as the numbers increased by the hour on the last submission day through our online submission platform. In just days, we went from thirty stories…to fifty…to eighty one and some years up to a hundred. Although I was happy about the diversity of stories and the trust that our community had in the platform, I simultaneously felt overwhelmed by the number of difficult, heartbreaking, and stories about hurt that we received. Through InterAction, we engage with people’s stories every day and in every training. By creating a safe and inclusive space participants feel comfortable and vulnerable enough to share their experiences. Some of the shared stories relate to experiences of exclusion and discrimination, and as facilitators these stories, although we may have heard similar ones before, can be hard to hear. So, it’s okay to take a break that day from the news or social media to reduce any added stress. We don’t want to be desensitized from the stories we encounter. Allowing ourselves to take a break when we need it means that we will be more capable of addressing the stories in the long-run. In our work, we always start with understanding ourselves. Given our unique life experiences, we all carry different trauma, histories, or memories. It may take time but recognizing your triggers is important. Once you can name it, you can move into managing them. Whether in the classroom or in a club, notifying trusted peers about your triggers can help them to support you. The sharing of stories on social media means that depending on how your feed is curated you may not go two hours without seeing a story about the latest instance of discrimination or hate in your community. On campus, stories can be all around us, on posters in the hallway, on social apps, in the dorm, or in the classroom. As educators and facilitators, it’s important to ask ourselves how the presentation of a visual story or piece might be perceived by vulnerable members of the audience. Is there an opportunity for individuals to remove themselves, take a break or step out. Is there a debriefing process for the stories being shared? In our every day, we can empower ourselves and those around us to set healthy boundaries that will allow us to do our social justice work for the long haul.